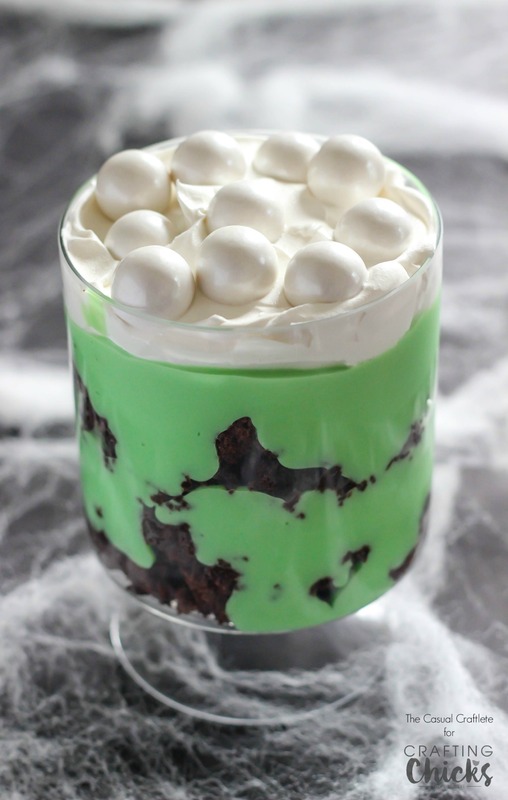 Witch’s Brew Dessert Trifle is made with layers of brownies, pudding, and whipped topping. This easy recipe is perfect for a Halloween party! Hello there! 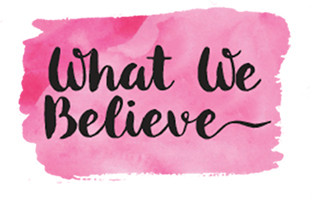 This is Katie from The Casual Craftlete blog. 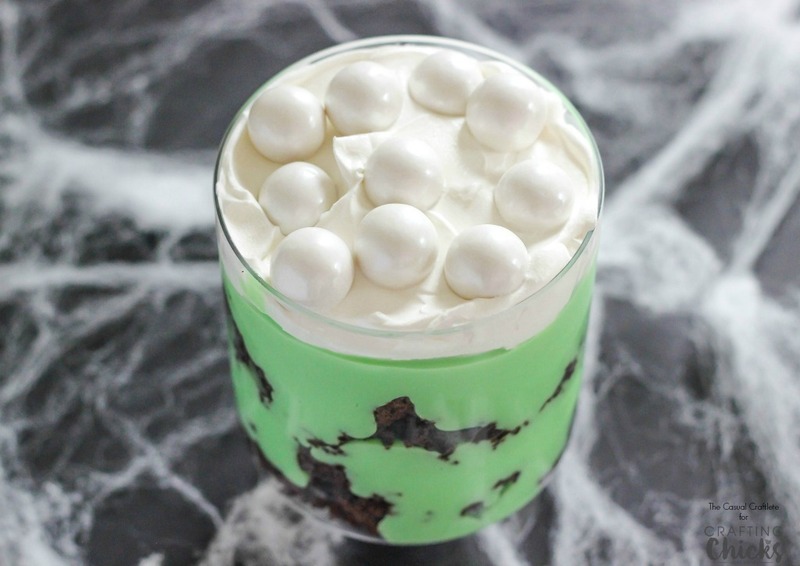 I am super excited to share the recipe for this Witch’s Brew Dessert Trifle. I just love super easy and fun desserts like this one. 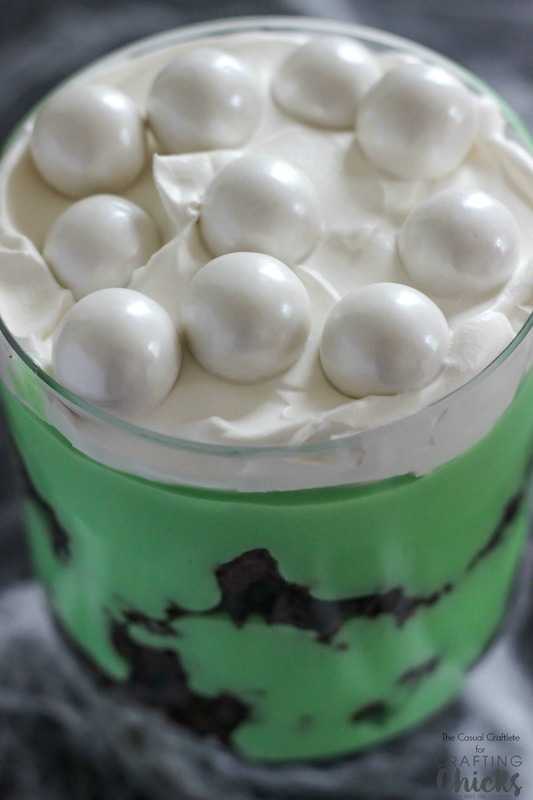 This dessert trifle is made with layers of gooey chocolate brownies, pudding colored with green food coloring, whipped topping, and gumballs for “bubbles”. Serve up this delicious dessert for your Halloween guests and ghouls. 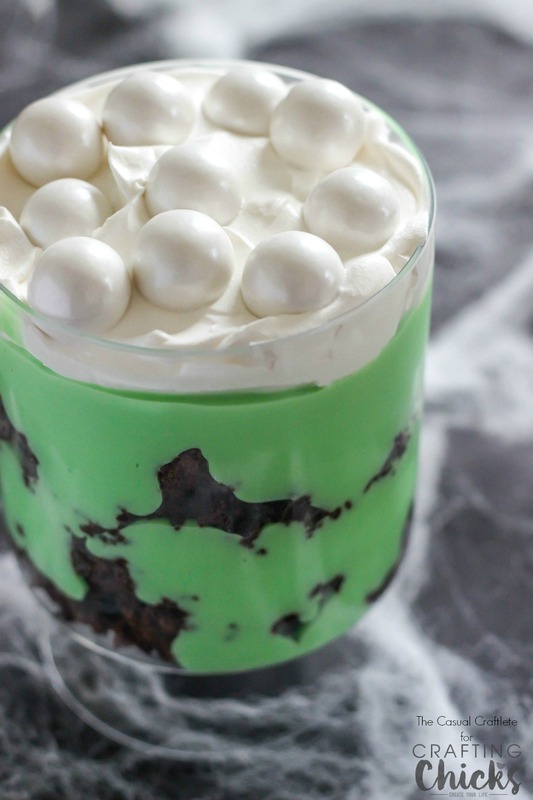 This Witch’s Brew Dessert Trifle is a small batch recipe for serving 4 to 6 people. If you are having more guests, you might want to double the recipe. The first step in this spooky trifle is baking the brownies. I used the quick and easy way by using a box of brownie mix. 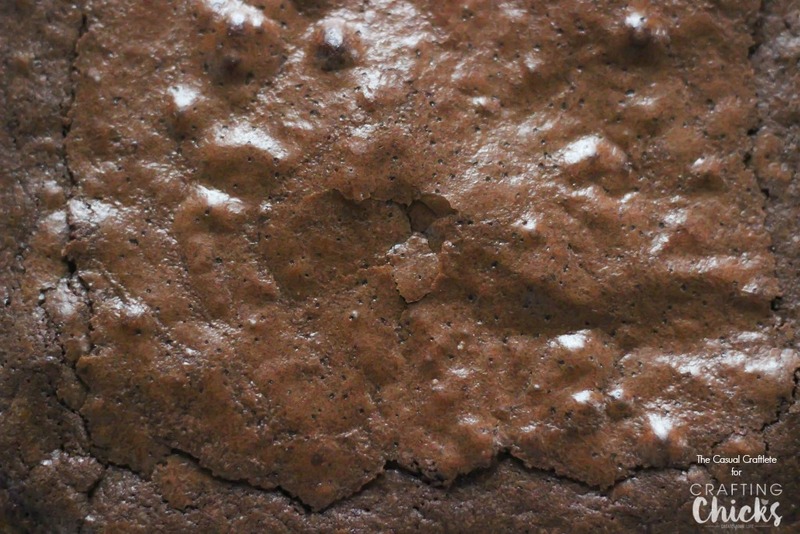 If you would like to make your own brownies from scratch, check out my gooey brownies recipe and bake longer until a toothpick comes out clean when inserted into the center. Allow the brownies to cool completely. For the pudding layer of the trifle, I used a box of vanilla pudding mix. 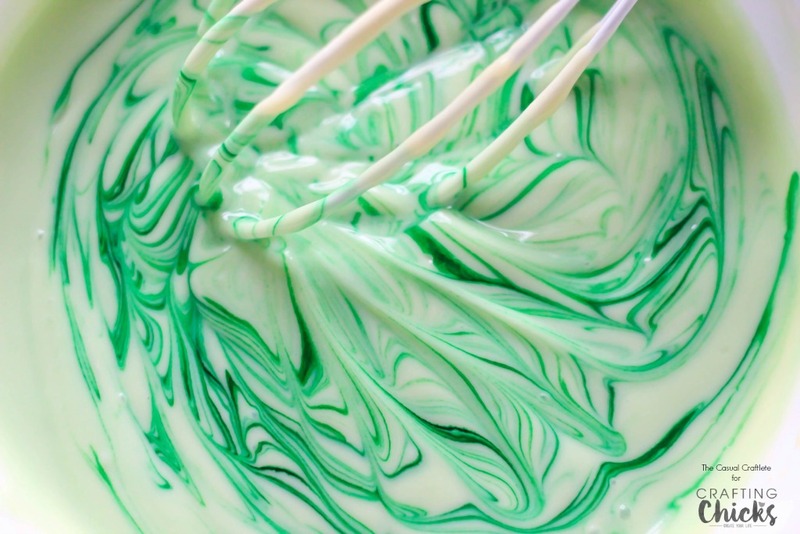 Once the pudding was set, I added drops of green food coloring and whisked together until smooth and well combined. To assemble the Witch’s Brew Dessert Trifle, start by crumbling half of the brownies into the bottom of a small trifle dish. Next, layer half of the pudding on top of the brownies. Repeat both steps. Finally, layer a small amount of whipped topping on top of the second pudding layer. Add white shimmer gumballs for the “bubbles” in the brew. Serve right away or refrigerate until ready to eat. The best part of this recipe is how easy is it to make and prepare. It is so creepy cute! a dessert trifle with layers of brownies, pudding, and whipped topping. Cook brownies according to package. Allow to cool completely. Make pudding according to directions. Once pudding has set, add in a few drops of green food coloring, or until desired shade of green is reached.